Burgundy is a fascinating region I have visited often over the years as an importer of many domaines from all subdistricts. Given the fragmentation of the vineyards and individual holdings, it is extraordinarily challenging to understand all the nuances of the individual climats and wines...this may require a lifetime, or longer! Very pale dark red with purple rim. Lovely, clean and nuanced perfume of red berries and small red fruits with a creamy overtone. In the mouth, the wine has intensity and cut with flinty accents and elevated acidity. Still young and undeveloped, this fine Nuits stands out for its precocious length and promising finish of inflected red berry highlights. The wine leaves a seductive textural conclusion. Pale purple ruby. Highly expressive nose, quite rich and endowed with red berries, red fruits and spice notes. In the mouth, this excellent youthful Vosne is classy, polished and intricate, delivering a particularly explosive red fruit perfume and finishing with an elegant, finely calibrated structure. Pale dark ruby with purple cast. The nose of this Burgundy offers impressive early complexity and dimension with a background of red fruits. The wine is caressing and slow to reveal itself on the palate, typical of a young Grand Cru, yet possesses superb length, dimension and tension. Speaks of its terroir. Pale ruby purple. 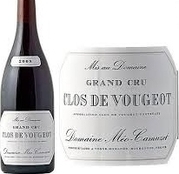 Aromatically, this Clos Vougeot has lift and concentration and reflects a distincitve origin. On the palate, the wine is quite backward and hints at complex nuances. The youthful, still undeveloped finish is remarkably long and testifies to the wine's Grand Cru credentials. Very pale yellow gold. The wine's nose is largely closed but suggests considerable concentration along with characteristic Corton stony accents. In the mouth, there is both hidden concentration and reserve once more. This Grand Cru is backward and demands to be cellared, possessing noteworthy substance for the vintage. The aftertaste is marked by stony highlights and notable structure. Avoid drinking until 2018 and keep to the early 2020s. Pale straw gold. The nose displays youthful reserve showing controlled accents of stone and white fruit, with underlying substance. This excellent Grand Cru displays its innate ripeness on the palate, showing volume and generosity. Unexpectedly open and forthcoming for Les Clos - a sign of the vintage - with a persistent, expressive aftertaste. Pale yellow gold. Held back, with controlled richness and mature white and yellow fruit. This fine white Burgundy expresses little on the attack, building slowly across the palate to show its depth, class and budding complexity in a lasting and generous fruit-dominated finish. Pale yellow gold. Splendid nose of mature yellow fruit speaking of old vines in its depth and concentration. The wine delivers a ripe, almost flashy palate with exceptional intensity. Long, enticing and intensely flavorful aftertaste. From six parcels and vines 65 to 100 years old. Premier Cru in quality. Very pale straw gold. Textbook aroma of stone, blanched nut and white fruit revealing attractive youthful complexity. The wine's palate is focused and well-defined, medium plus in weight, and opens slowly on the finish. The finale imparts pronounced tension with an elevated acid spine and a touch of saltiness. An excellent village Meursault. Pale straw gold. High-toned aroma exhibiting restrained white toast and melting butter. While still young, this excellent Premier Cru shows impressive dimension and persistence with an exceptional conclusion displaying lovely aromatic highlights of blanched nut and white fruits. Very pale straw gold. The aroma is held back, with a suggestion of stone, citrus and white fruits. In the mouth, the wine is focused and youthfully undeveloped yet possesses evident harmony and finesse, finishing with very fine well-integrated acidity. Pale yellow gold. Subdued, youthful nose, pure and subtle with attractive white fruits and a creamy overlay. The wine possesses excellent dimension and budding expression and shows its potential in the volume of its finish. Pale yellow gold. The aroma is ripe and has substance and depth completed by inflections of yellow fruits and toast. In the mouth, this outstanding white Burgundy is at first closed, then reveals more volume and weight. Very young and promising. Moderately dense dark ruby. Les Chevrets has a very lovely, exceptionally pure and youthful scent of red berries. On the palate, the wine shows more reserve along with striking intensity and tension. There is a beautiful fine structural frame. This Premier Cru is a stellar example of the elegant face of Volnay. Pale dark ruby purple. Ultra-clean, impressively pure nose of red berries with notable intensity. This Volnay possesses a wonderful caressing, sensual mouth-feel, with very promising nascent complexity, even at this early stage of life. The structure is ripe, hidden and soft. Pale dark ruby purple. Gorgeous aromatics, complex and perfumed, dominated by nuanced wild and red berries. In the mouth, this exciting young Volnay shows reserve initially, then gains in expression, finishing with a flourish of berry highlights. Persistent and elegant with wonderful cut and vibrant acidity. Pale ruby purple. Benchmark Chambolle perfume of pure red berries, forthcoming and immediately seductive. Dances across the palate, offering beautiful nuances and an amazing, long and inflected finish. Superb village Chambolle. Pale dark ruby purple. Restrained, ultrapure, seductive aromatics dominated by a melange of red fruits and berries with complementary oak. On the palate, there is fabulous fruit purity together with an enticing layered feel. The wine is exceptionally long already with carefully integrated acidity and fine tannins at the very end. Overdelivers at the village level. Pale dark purple red. Somewhat reduced at first, with expected reserve and pinpoint focus, then offering wonderful purity at core, with very fine nuances. With more airing, the wine's beautiful red berry perfume comes out. On the palate, Malconsorts possesses exemplary focus, finesses and underlying strength. 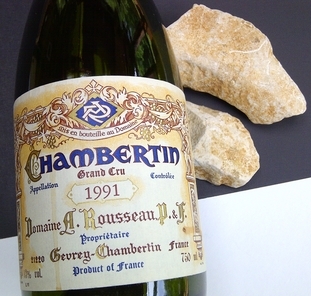 While very young, this superb red Burgundy shows immense promise and a very fine structure. Pale dark red with purple rim. Multifaceted, intense and youthful nose with beautiful red berries and wild fruits. This young Gevrey is focused and strictly defined on the palate, with excellent follow-through and notable tension. A superior village wine which should be cellared until 2021 to 2023. Pale dark ruby purple. Ethereal, pronounced aromatic lift with marked intensity, wild red fruits and terroir expression. The taste is notably fresh and also held back. This Premier Cru has a light feel yet is intense and persistent with a budding, complex finish. Pale dark ruby purple. Arresting, superb and high-class youthful aromatics revealing dark red berries and considerable depth. In the mouth, the fabulous fruit captures attention from the outset, and the wine is layered, seductive and complete. Rather precocious and utterly delicious even at this stage. Domaine Humbert Frères Charmes-Chambertin Grand Cru 2012 ****(*)! Pale dark ruby purple. Fantastic, perfectly mature red berry fruit and perfume with outstanding depth and concentration. In the mouth, this young Grand Cru is truly gorgeous, with ideal ripeness. The wine possesses incredible staying power in a beautifully calibrated, sapid conclusion. Very pale dark ruby purple. High-toned, expressive nose of red berries accented by a vanilla note. On the palate, this very fine young red is precisely constructed, ethereal and seemingly weightless, with impressive early complexity. Inflected, intricate finale. Pale purple red. Gorgeous, exceptionally pure aroma offering accented red berries. This Rousseau monopole is strikingly polished and caressing for a wine of its origin and stage as it enters the mouth, finishing with ideal, barely noticeable and elegant acidity and fine-grained tannin. Remarkably delicate for a young Ruchottes, but likely to close up later. Pale dark red purple. Quite held back at first as to be expected, then showing super purity, small red fruits and berries, and a suggestion of innate complexity. On the palate, the wine's precision and finesse dominate. Closed in the main, this exceptional Grand Cru exhibits both intensity and definition, ending with very fine inflections. On the whole, the wine is more forward in 2012 than in many top vintages. Very pale dark purple. The nascent aroma reveals strength and concentration in reserve, with a background of dark red fruits. In the mouth, this red at first seems more delicate, opening slowly to reveal beautiful, promising early dimension. There are particularly lasting aromatic highlights proving the inherent quality of this Grand Cru. Extremely alluring and stylish. Moderately dense dark purple red. Despite its youth, this fine red possesses a gorgeous aroma of exquisite dark berry fruit, with a great deal of restraint nonetheless. This Grand Cru shows wonderful harmony on the palate, with faintly sweet mature dark fruit and considerable dimension. The finale shows just enough structure and a fresh quality along with a background of new oak. Pale ruby purple. Penetrating, multidimensional youthful aromatics with tremendous focus, terroir expression, and hints of wild red berries. The wine is more delicate initially in the attack, gradually offering more nuance and finally confirming its concentration on the finish. Concludes with multifaceted inflections together with a dry, intense frame of acidity and tannin. A true Grand Cru in its reserve and presence, and less flattering than some 2012s.